The clouds moved back in along with rain - sometimes a gentle drizzle, other times more persistent. This church - Hofskirkja is dedicated to Saint Clement and was built in 1884. 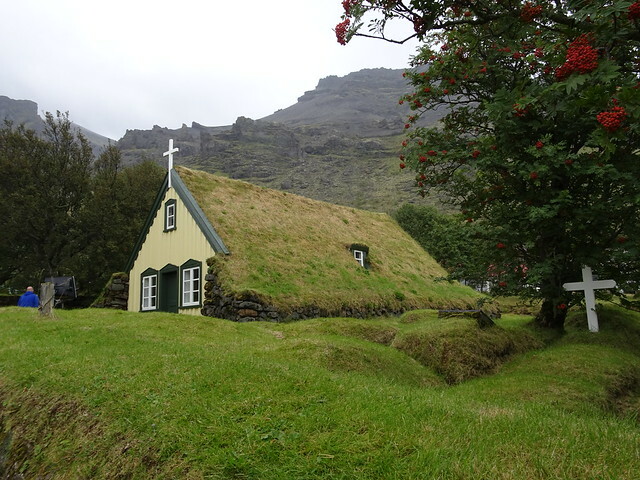 It is the last turf church that was built in the old architectural style with thick walls made of rocks. 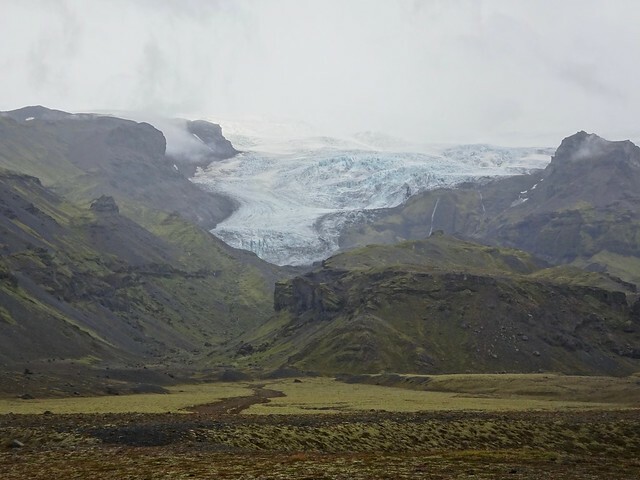 We hiked a bit in Skaftafell National Park. The path had rubber lattice mats embedded in the gravel. Without them, the climb would have been a real challenge as the gravel tends to slide. The rain, though not heavy, fell consistently which made photography difficult. 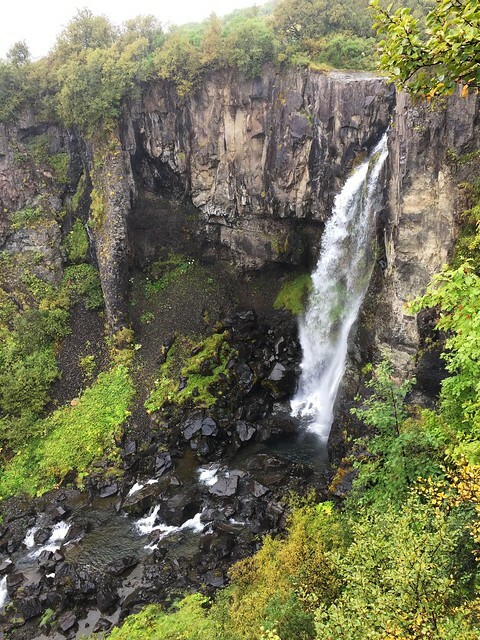 This is a waterfall we passed along the way. 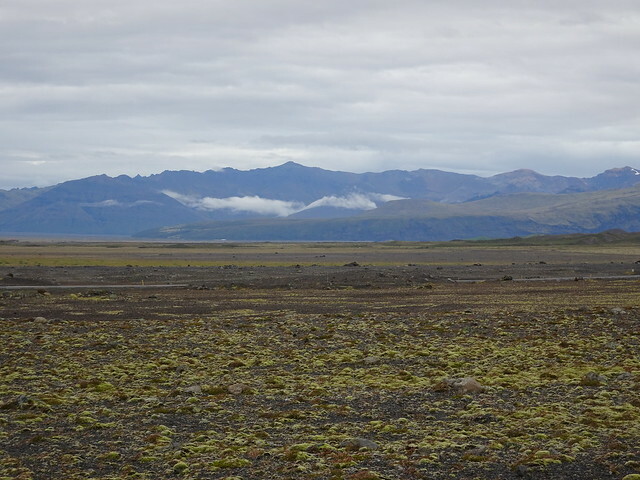 This is one of the few areas in Iceland where we have seen trees. I am fascinated by the shapes of the mountains with chunks of lava and large rocks undisguised by trees. The main growth on parts of these hills is moss. It is always dramatic to see the edge of the glacier. 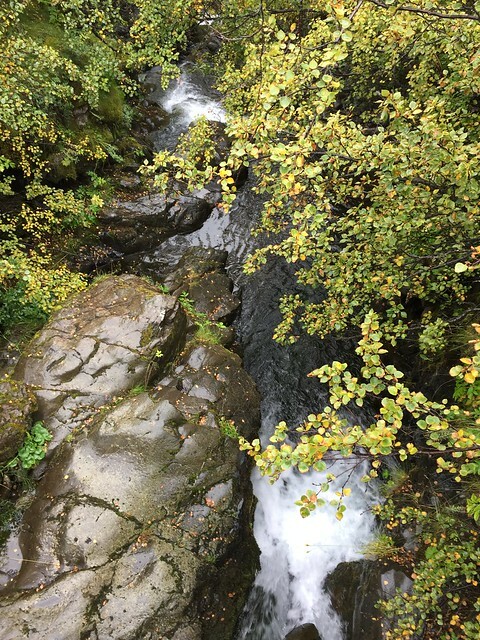 This area is crisscrossed with streams which grow in the spring as the winter snow accumulation melts. As to driving - there are a number of one lane bridges, but with sparse traffic and polite drivers, it is not an issue as whoever arrives second simply pulls to the side before the bridge and waits for the car going in the opposite direction to pass. 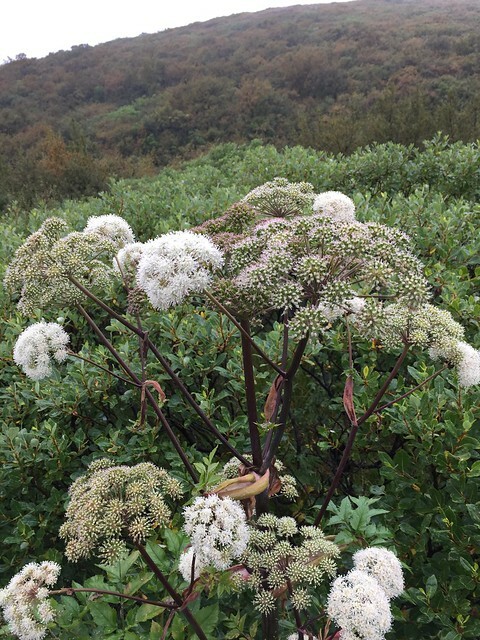 It is hard not to keep stopping to gawk - despite the inclement weather, the views are spectacular. 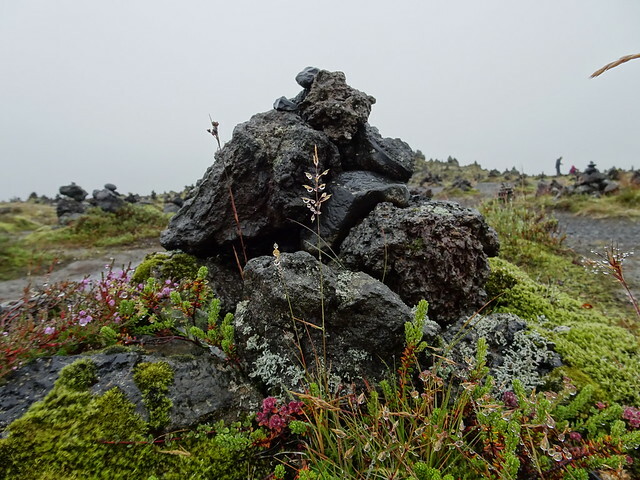 This lava field is near Katla, one of the most dangerous in Iceland. It has not erupted in almost 100 years and many feel it may erupt again soon. 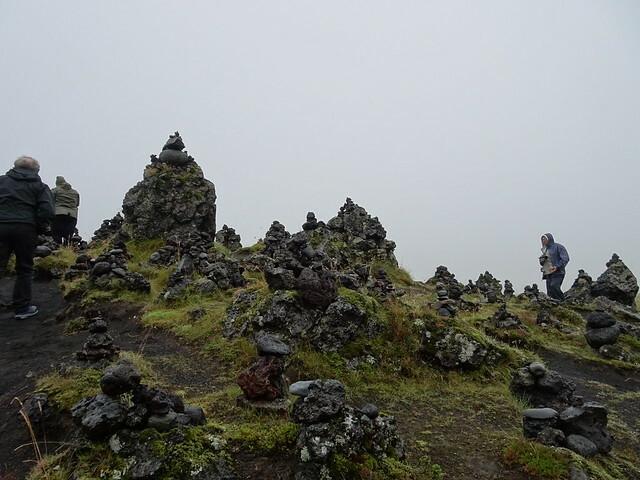 Laufskálavarða is the only place in Iceland where it is permissible to build cairns. 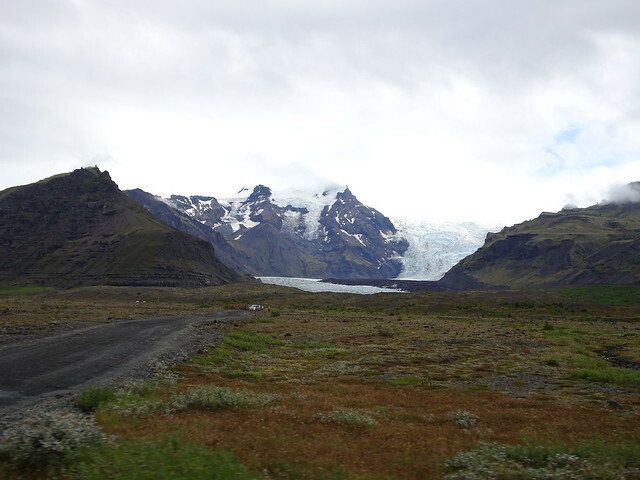 There are many there and the tradition is that the first time you drive past to ensure good fortune as you drive east (hoping that Katla does not erupt). This has been going on for many years. 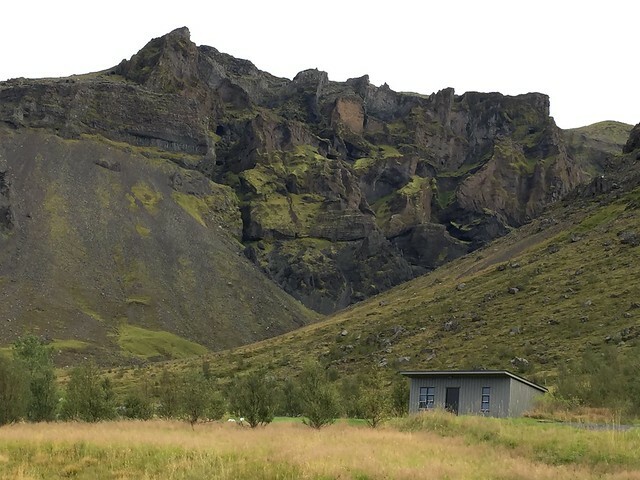 With the influx of tourists, the Icelandic road administration now trucks in stones so that there are enough - and so people don't venture farther afield and destroy the landscape. 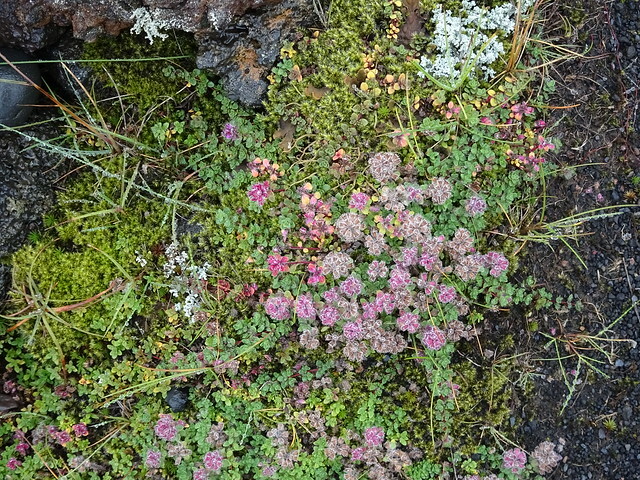 Flowers grow near the older cairns. 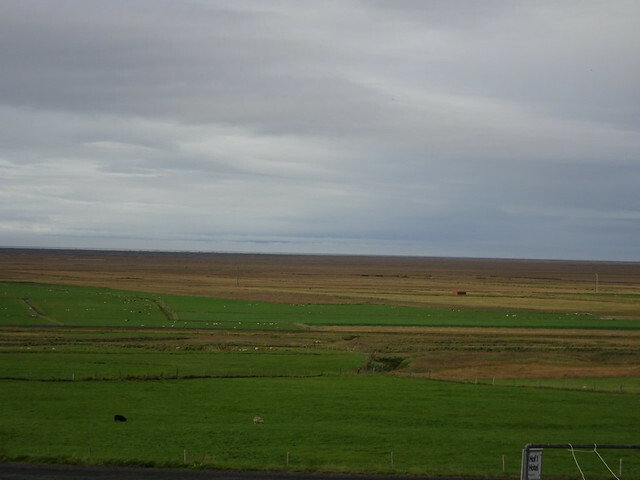 This was our last day out in the countryside - and then on to Reykjavik. That old church is so pretty.There are so many photo opportunities,Susan!